[6 mins. 25 secs.] 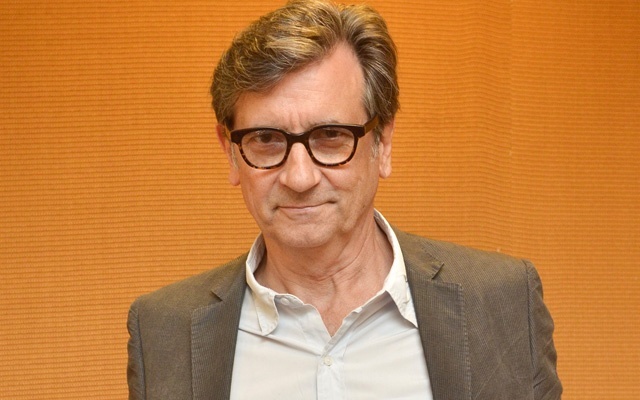 Legendary indie film actor and producer, Griffin Dunne ("After Hours", "Dallas Buyers Club") is the first guest. Griffin stars in a new feature comedy called "The Discoverers" and is joined by the film's director, Justin Schwarz. Washed-up history professor Lewis Birch takes his begrudging teenage kids on a road trip to a conference in hopes of putting his career back on track. But, when Lewis’s estranged father goes AWOL on a Lewis and Clark historical reenactment trek, Lewis is forced to make a family detour. The film is currently screening at the Village East Cinema in NYC. Here's where you can see this outstanding movie. [30 mins. 57 secs.] Next up is Morocco-based filmmaker Nabil Ayouch whose astonishing new film, "Horses of God", is currently enjoying am extended run at the Film Forum in NYC. A drama set in the slums of Casablanca, and based on a horrific 2003 bombing, the film is more a character study of young men growing up without hope than it is a portrait of terrorists-in-training. The film is being distributed by Kino Lorber. [52 mins. 9 secs.] Last up on this episode is the filmmaker Sam Fleischner who has a new dramatic film opening this Friday, called "Stand Clear of the Closing Doors". It's the story of Ricky, a 13-year-old boy with autism, and his mother, Mariana. An undocumented immigrant from Mexico, Mariana works long days cleaning houses while Ricky, deeply imaginative but painfully isolated, struggles to cope. They live in Rockaway Beach, Queens along with Ricky’s rebellious older sister, Carla, and semi-absent father, Ricardo Sr. Carla doesn’t pick Ricky up from school one day and as he walks home alone, he is swooned by a mysterious dragon figure into the subway.